What is Print Screen on Mac? Print Screen is a Windows keyboard key dedicated to capture the whole screen upon pressed. 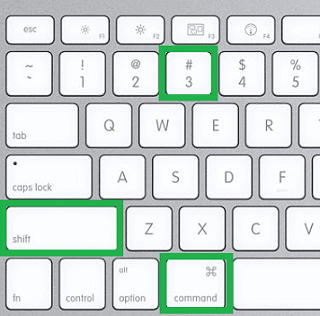 If you look at the upper right side of a windows keyboard you will find this key labelled as “Print Screen” or “Prt SC”. As the name suggests, it captures the entire desktop screen and prints it into the clipboard which you can paste anywhere into an application or a file on Windows. Surprisingly, there is no “Print Screen” button on your Mac keyboard but that does not mean that you can not Print screen on Mac. 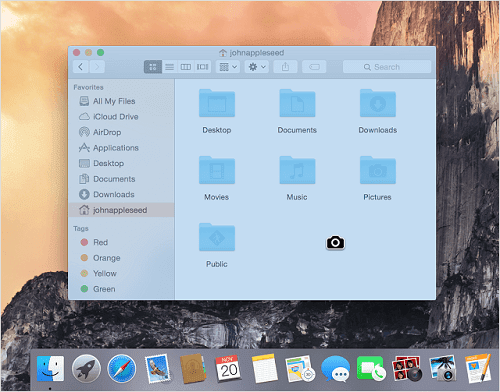 In fact, Mac has more advance and smarter way to do this and gives you more control over the ways screenshot is taken or the location where it has to be saved and whether to print the whole screen or selection of the screen. 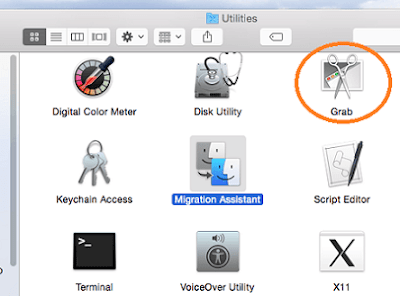 Print Screen on Mac is normally known as Screenshot, Screen Captures or Screen Grab and in order to Print Screen on Mac you’ll need to hit a set of keys to capture the screen in various ways. This is both smarter and much more powerful in Mac as it gives you 8 different ways to take screenshot. You can choose from capturing the entire Mac display, selection of the screen or just an active window or you can even set a timer for Print screen and it automatically captures the screen after the timer expires. This post is typically aimed at new Mac users who have recently switched over from Windows and wondering where is the print screen on Mac. Here I will explain to you the procedure to take screenshot or print screen on Mac in details. How to Print Screen on Mac? Open all the windows you want to include in your screenshot, and arrange them exactly the way you want to see them in Screenshot. Press Command + Shift + 3 all at the same time. You’ll hear a camera shutter sound, and your screenshot will be saved on your desktop in .PNG format automatically, with the name Screen Shot [Date + Time]. If you do not wish to save the Screenshot to your Desktop but just want to copy the Screenshots to the Clipboard and paste it into a document, hold down the control key in addition to Command+Shift+3. For example, if you want to Print a screenshot of your entire Mac screen into a Word document, press Command-Control-Shift-3, go to your Word document, then paste the screenshot where you want it. In case you just want to Print Screen a part of your Mac screen, you should follow this step. You can use it for capturing a pop up message, App Menus, an specific app Window in Mac, an image on the web, or a part of your chat. Open the window or pop up or chat screen you want to take the screenshot of and arrange them exactly the way you want to see them in Screenshot. Press Command + Shift + 4 all at the same time. The mouse pointer will turn into a crosshair. Place the new crosshair cursor at one corner of the area you want to capture (for example, top left), then click and hold. Drag the crosshair over the area of the screen you want to capture. 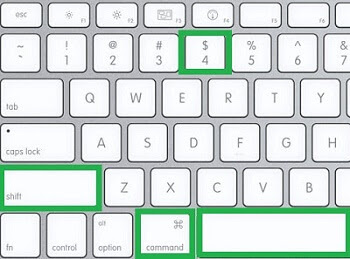 You can also Hold down Option key to change the lock point to the center of the area or hold down Shift to lock all sides but the one in the direction you’re currently moving. When you’re done with the selection of the area, just let go of the mouse button or trackpad. Whatever is covered by the outline generated by crosshair will be saved as a screenshot. 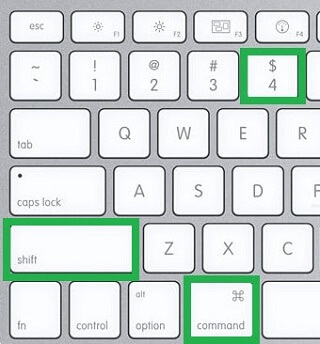 Again you may hold down the control key in addition to the shortcuts mentioned above, in case you just want to Print Screen to the Clipboard and paste it into a document directly. If you want to Print screen a specific application window and nothing else — use this option to Print the whole application window precisely, no matter which shape it is in. Open the application window or click on it to make it active. Press Command + Shift + 4 all at the same time and then press the Spacebar, the cursor will turn into a camera and the current window will be highlighted in light blue to make sure it’s the selected one. To select a different window, Simply move the cursor over that window and Place the camera cursor on top of the window you want to Print Screen. Once the desired window is selected just click to take its screenshot. You’ll hear a camera shutter sound, and your screenshot will be saved on your desktop in .PNG format automatically. Again you may hold down the control key in addition to the shortcuts mentioned above in case, you just want to Print Screen to the Clipboard and paste it into a document directly. Printing screen with timer can’t be done using keyboard shortcuts rather you need to use an inbuilt utility called “Grab” located in /Application/Utilities/ folder on your Mac. This approach will run a timer on the screen allowing you some time to arrange any app window, menus and other tools exactly the way you want to see them in Screenshot. This will automatically print the whole screen after the timer expires. You can also take the screenshots from selection of the screen or an active window using Grab utility. Open Grab utilities from Applications > Utilities folder. It opens with no specific window but a number of menu options on top.Click on Capture menu from top and select Timed Screen. A small window will pop up saying “Grab will capture the screenshot ten seconds after you start the timer”. Once you’re ready, press Start Timer and prepare for Timed Screen Grab to capture the whole screen. After ten seconds, it will print the screen, and show you the image which you can save at your desired location. Obviously, you will not be able to Print Screen the full web page using Grab or Keyboard shortcuts as mentioned above because they will only capture or print things that you see on the screen at a time. And a long web page can’t fit to the screen and you will need to scroll it. But don’t worry taking screenshot of long web page is also possible with the help of third party tool.There are various paid and free tool. Snagit is one of the famous paid software compatible for both Mac and windows which can take the screenshots of a long web page. There is also a free browser extension for chrome called Full Page Screen Capture which can capture the screenshot of the full long web page. 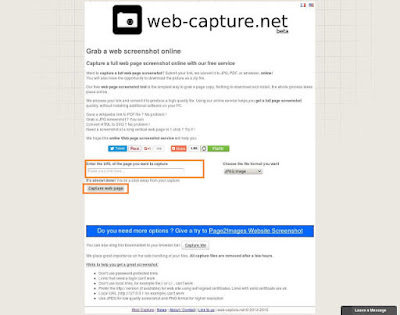 If you don’t want to use Chrome then simply use Free Online Web Capture tool, where you just need to enter the URL of the web page you want to take the screenshot of and click Capture Web Page, it will take the Screenshot of the whole webpage into the format you select which can later be downloaded.The best thing about this free online screenshot capture tool is that, it free and can be used anywhere. Look at the screenshot of Web-Capture.net that I took using the same online tool. I am sure you have enjoyed the above Print Screen method on Mac and now finally the real meaning of Print Screen on Mac can be accomplished by printing the real screenshot image using a physical printer. So simply double clicking on the screenshot image to open it with preview and hit Command+P to send it to your printer. So that was all about printing Mac screen or a section of the screen on Mac. If you have any other simple method to take screenshot or Print Screen on Mac or the one I have missed, do let me know in the comment section below.